Paying high cooling costs because air is escaping from your home, but you can’t figure out where? 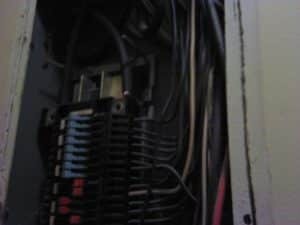 Having electrical issues at your condominium, which no one can seem to pinpoint? 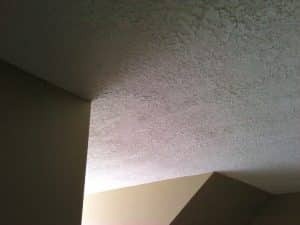 Are you buying property and concerned about hidden places where moisture can collect and cause mold? 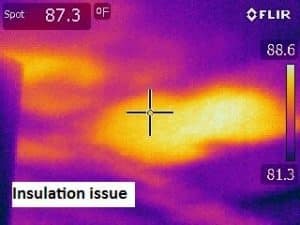 A thermal imaging scan, the first level of a thermal imaging inspection, is the only way to truly investigate what is happening in your home in terms of moisture and electrical problems. In fact, we offer a thermal imaging scan free with every full home inspection in Central Florida. Even the best inspectors can’t see everything, due to construction methods used in certain homes. Thermal imaging is a reliable way to see what the naked eye cannot. The technology allows us to see things like fire hazards, or in the case of energy audits, inefficiencies that can cost you money, such as cool air escaping through a leak in a door seal, or a gap in the ceiling. The way we detect problems using this technology is by observing how the material, such as in ceilings and walls, emits heat. Most building materials emit temperature equally and uniformly. However — if the wall has a problem, like it is saturated with water, for example — it would emit differently and non-uniformly. Seeing the anomaly with thermal imaging helps find issues and investigate what we can’t see with the naked eye. At EDC, our technicians are Level-1 certified thermographers. We are experienced at finding inefficiencies in your home’s insulation and ventilation that end up costing you more in cooling bills. We can find where heat is building up due to electrical problems, posing a fire risk. An accurate diagnosis results in getting it fixed right, the first time. In business, when equipment’s down, no one’s making money. Precautions are needed. 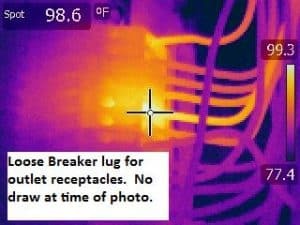 Thermal imaging is relied upon by companies looking to stay ahead of the curve and inspect equipment for problems before those problems result in costly downtime. Machinery maintenance programs are key in preventing major malfunctions, assessing performance and protecting assets. A thermal imaging equipment inspection — scheduled at your convenience — helps guide future planning decisions. And is much better than a frantic call later for repairs during your company’s busiest time.